Did you know that because plastic water bottles and cups are shielded from sunlight in landfills, they will not decompose for thousands of years? Did you know that 66% of energy is saved when producing new plastic products from recycled materials instead of raw (virgin) materials? No? I didn’t either! With Earth Day here, and all of the news on pollution and environmental impact, I decided to do some digging and learned quite a bit that shocked me. I also know of a few things we can do about it. 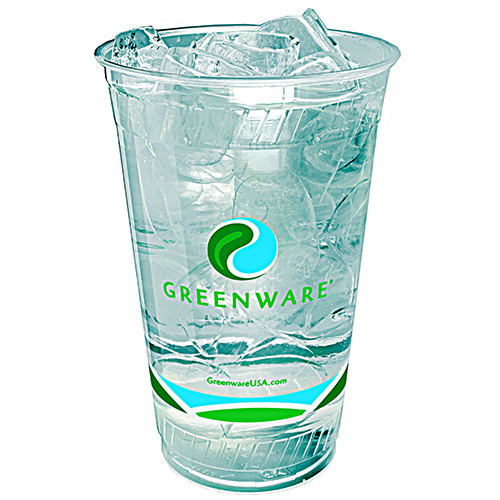 Products like Fabri-Kal Greenware Cold Drink Cups are a great place to start making small changes to help our planet (remember, it’s the only one with chocolate). These are made from 100% recycled product and are completely biodegradable. They can also be custom printed so you can really make a statement, in more ways than one! Paper supplies and cleaning products are another great way to minimize your footprint on the Earth. Green products like Seventh Generation offer a line of environmentally sound choices to help your business and the Earth. Office supplies can go green with products like Universal brand copy paper and filing supplies. Every little change you make can help decrease the damage we do to our home. Your business CAN make a difference to our planet, and we are here to help you! Peace, and go hug a tree! Previous Post The Tax Man Cometh!